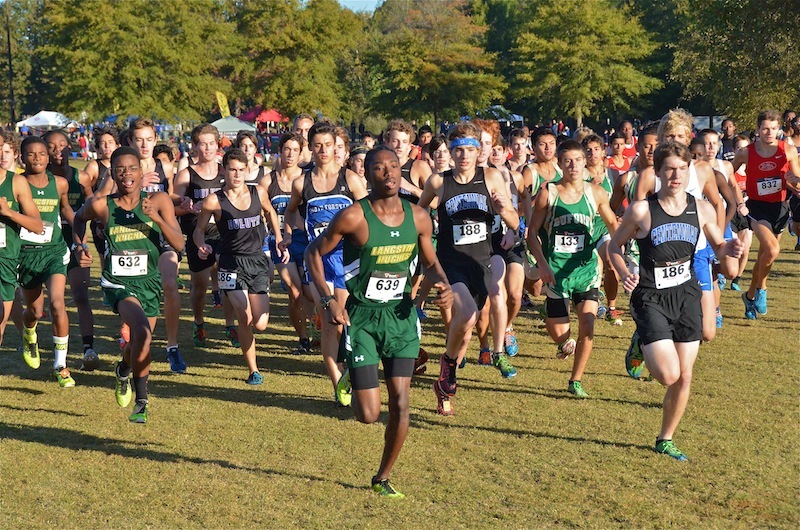 Langston Hughes, Centennial and South Forsyth get out quick in the 6A Boys race. 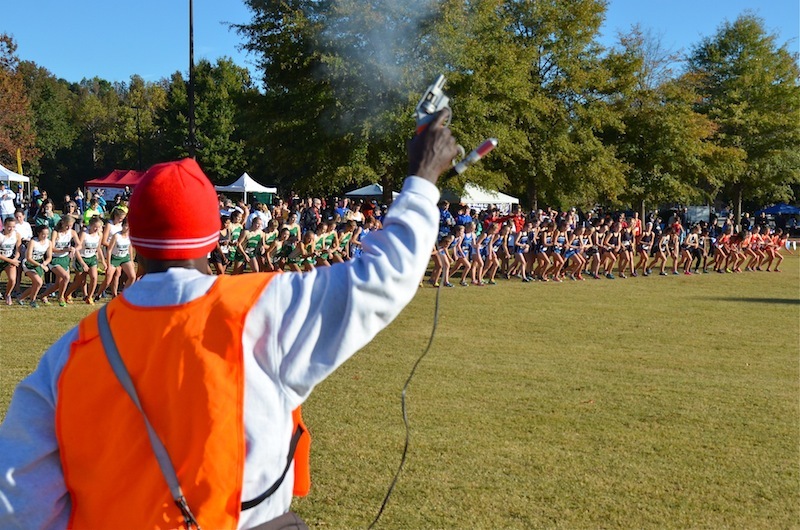 But South quickly separated from the field after the nasty little hill by the school.The AAAAAA Boys start was comprised of eleven teams prepared to do battle. 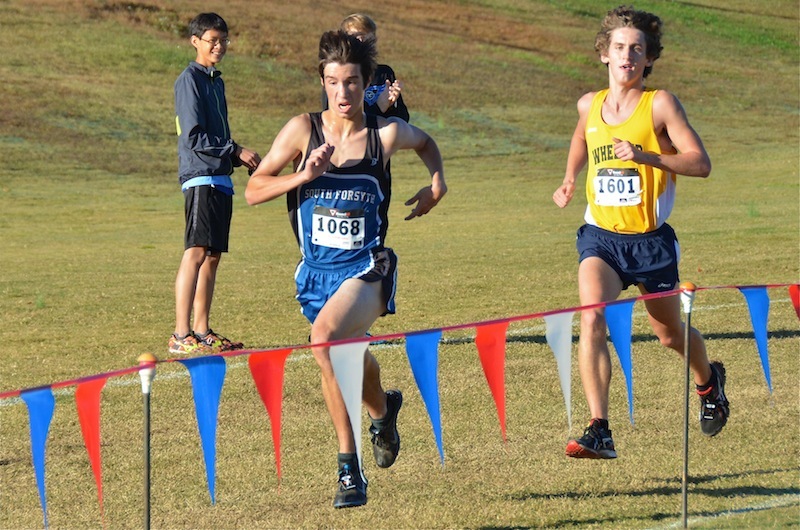 South Forsyth High destroyed the competition posting an extremely low 18 points for the Gold. North Gwinnett earned Silver with 79 points. Buford edged out Etowah for the Bronze, 92 points to 97. 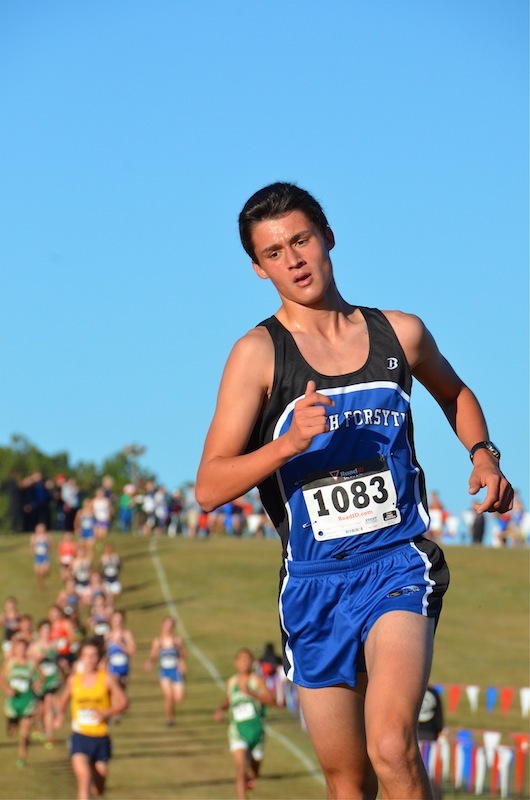 Solid Gold - Matt Patterson led South Forsyth to an impressive Team victory. BANG! And They're Off! The South Forsyth Varsity Girls followed in the footsteps of their brothers and continued the trophy haul. 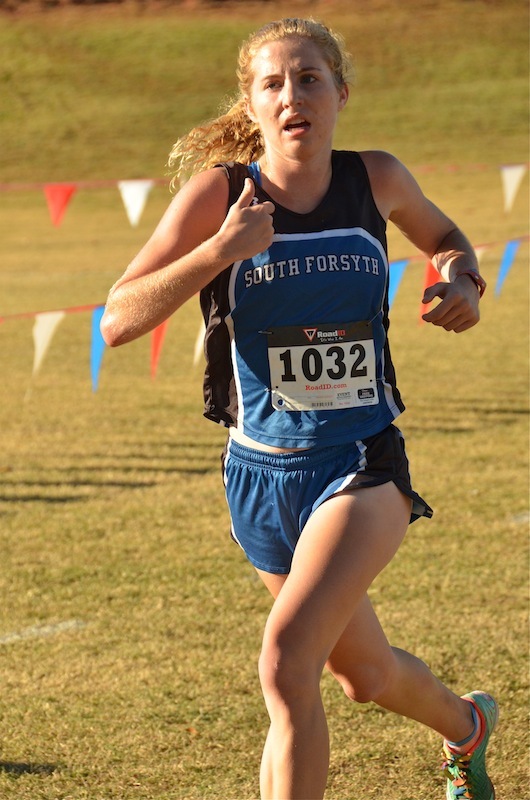 The South Forsyth Girls posted a scant 24 points for the Gold. Westminster earned Silver with 44 points, and North Gwinnett's 66 point score was good for the Bronze .. 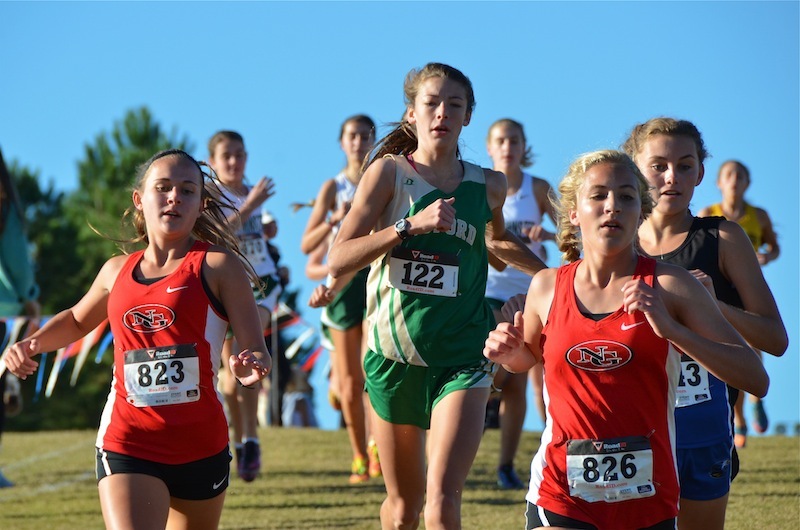 The North Gwinnett Girls placed two runners in the top 10, securing Third Overall. 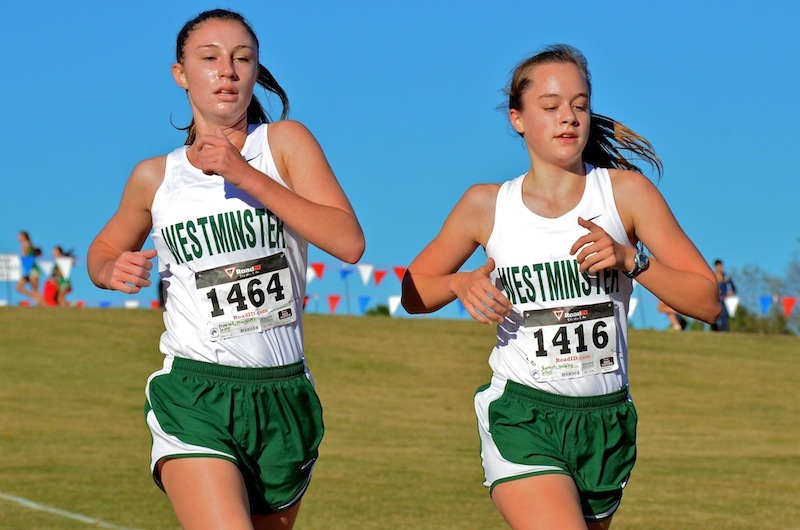 The Westminster Girls Team earned Second Overall with 44 points. 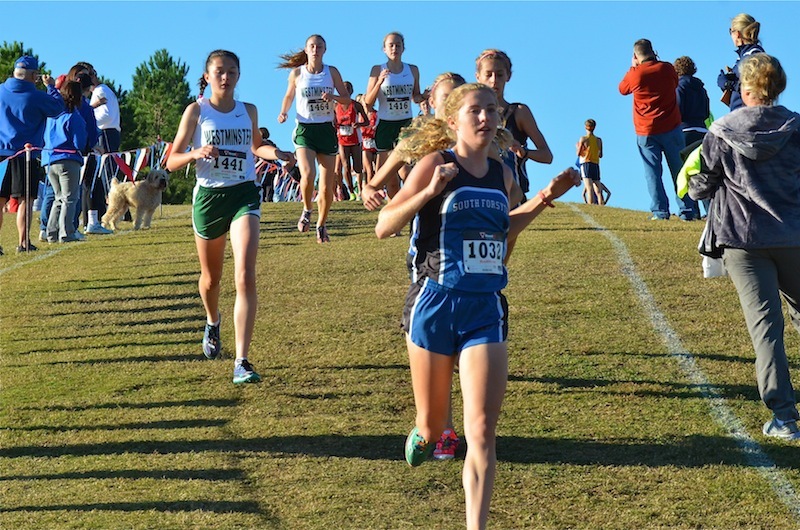 Savannah Carnahan's time of 18:57.92 was the fastest time posted by a girl at Last Chance!